Are you injured and need to recover? If you are having pain due to past injury or if you are suffering from joint condition, you should contact a physical therapist. 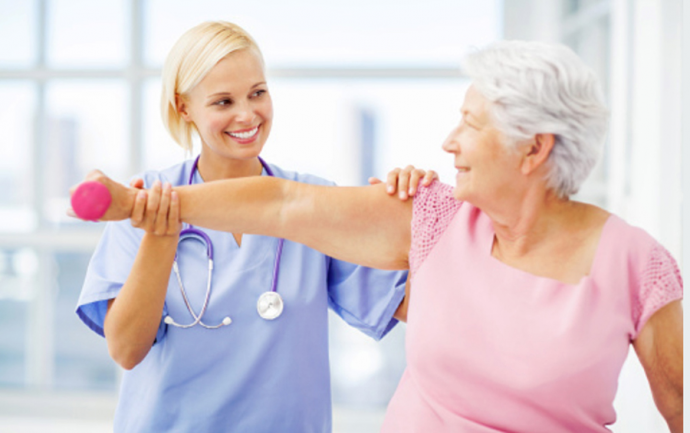 A physiotherapist is the one who can restore joint motion, joint functioning if you are ill, injured or disabled. He suggests exercises, therapies and also provides suitable advices on recovery and rehabilitation. Indeed, the professional can speed up the process of recovery. People of all ages can stay healthy, fit and fine. People may manage pain, avoid diseases when gets the support and help of a physical therapist. This profession solely revolves around facilitating recovery and helping people to stay independent. The professional is needed when you recover from stroke or have undergone the treatment. When to contact a physiotherapist? It may be that stroke has impacted that part of the brain which controls movement. This results to weakness and paralysis of one side of the body and problems relating to accomplishing everyday activities or daily works. As a result of stroke, there can be symptoms like joint issues, muscular spasms and problems in balancing. If you suffer any of the mentioned issues, then the physical therapist can help a lot. He can help to restore balance and improve joint functioning and movement. This will all be accomplished by exercises and suitable treatment. The role of the professional is profound when it comes to managing stroke. Physiotherapy is an effective way to get better outcomes from stroke treatment. He can improve muscle coordination, strength, maximize mobility to improve the overall health of the person. How can physical therapist help? Are you suffering from back pain or joint pain? You should avoid the use of painkillers but get in touch with physical therapist for pain relief. Physical therapist may help you to manage sudden injury, any medical condition bothering you. It may be asthma or anything. He can prepare you for any of the upcoming sporting events or for child birth. The professional therapist has the needed skills, knowledge and experience to treat a range of conditions in the body system. They may be of neurological, neuromusculoskeletal, respiratory or cardiovascular nature. They work in the realm of different specialisms relating to social care and health. His job is varied and help in a range of problems. He can massage the body, suggest exercises to relieve pain in the body. RA or Rheumatoid Arthritis is that painful and chronic medical condition which causes joint damage, joint disability and also deteriorates the quality of life. The damage may be irreversible or it may be permanent. To alleviate the symptoms of RA, you may get in touch with a physical therapist. RA management revolves around pain relief or avoid joint damage, functional loss, etc. The professional can speed up recovery from RA. If you underwent Rheumatoid Arthritis treatment, you may get in touch with physical therapist. He can help to enhance functional and physical ability and give relief from joint pains.